A mystery dinner at 6 Autumns just north of Angola, Indiana. And as always, please continue to check back for future events!! A big THANK YOU to all who came out to enjoy the beautiful morning and support your community Habitat for Humanity! The "Race the Roof" 5K was the ONLY annual 5K for our tri-county area this year and was held again at Bixler Lake in Kendallville, Indiana! 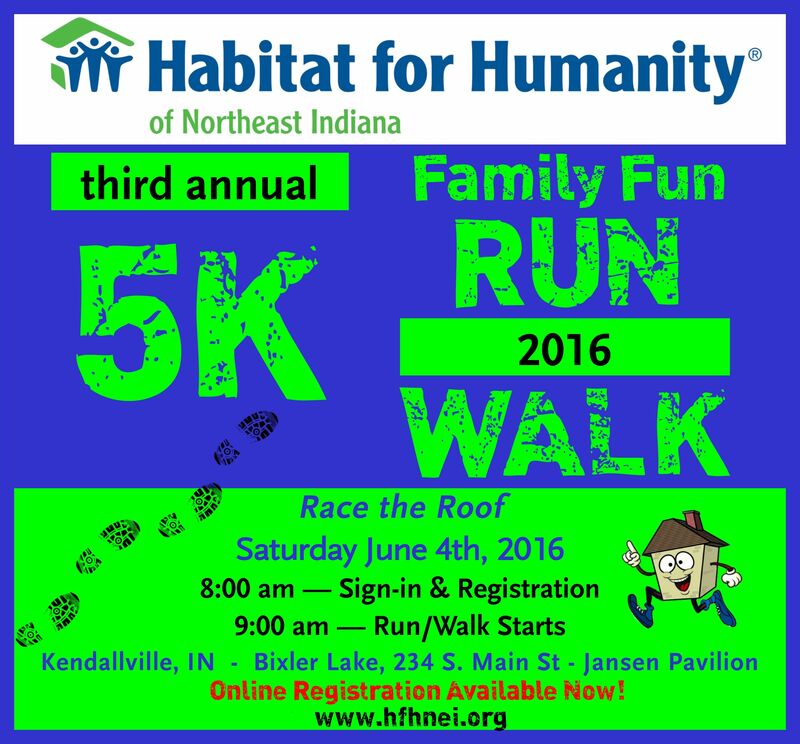 The third annual Habitat for Humanity of Northeast Indiana "Race the Roof" 5K event was held in Noble County in Kendallville, Indiana. All supporters from Dekalb, Steuben, and Noble please join us this year at Bixler Lake on June 4th! A big THANK YOU to all those who came out to volunteer and all those who participated in our very first Jazzed Up Junk event! Be sure to join us again next year! It was an amazing first year success!!! NOTE: Applications for vendors for the event are due May 29, 2015. Click Here for the Vendor Application form including vendor fee and requirements. 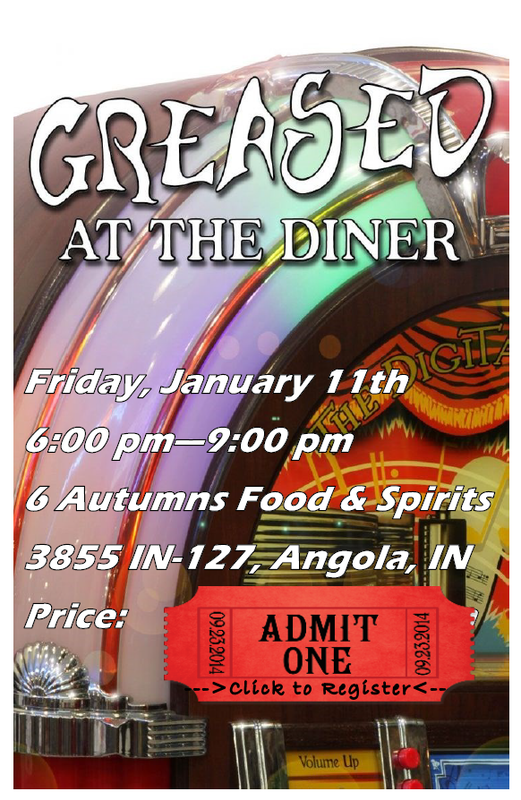 Click Here for more information and current sponsors of the event. 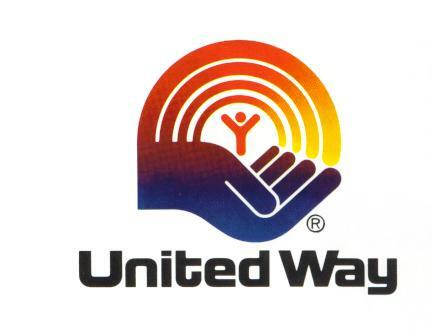 Habitat for Humanity of Northeast Indiana is partnering with the United Way in Steuben and Noble Counties for Day of Caring events! Thank you to all who participated and came out to volunteer for the Day of Caring days in Steuben and Noble Counties! They were a great success! Check out our Facebook page for more details on the events and pictures! The Steuben County Day of Caring Event is on April 29, 2015 and applications for the event are due April 17, 2015. Click HERE for the Steuben County application packet including the application and qualifications to have your home painted by Habitat volunteers. 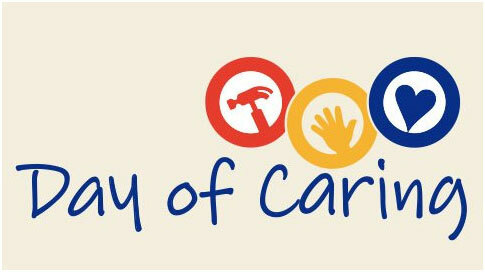 The Noble County Day of Caring Event is on May 8, 2015 and applications for the event are due April 24, 2015. Click HERE for the Noble County application packet including the application and qualifications to have your home painted by Habitat volunteers.